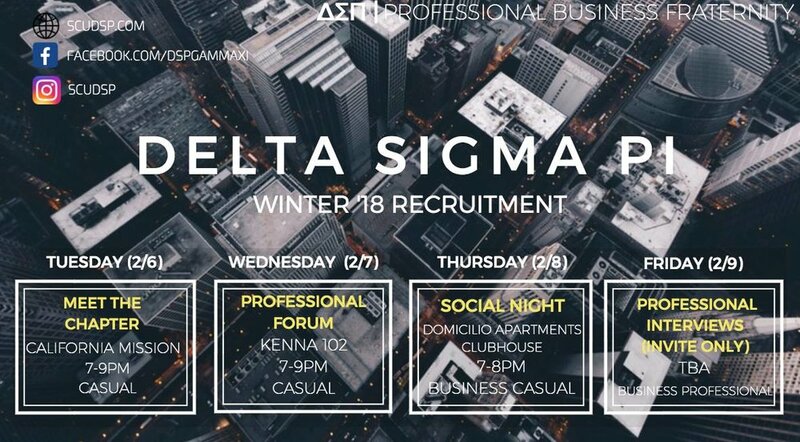 Winter Recruitment for the Gamma Xi Chapter of Delta Sigma Pi begins on February 6, 2018. Please complete the application and submit the online form using the link below. The application is due no later than Wednesday, February 7th by 11:59 PM. Be sure to have a resume handy for our Interview days! If you do not currently have a resume, feel free to use the template below and build upon it by adding your own personal experiences.